Buyers of the all-new Nissan Leaf in Japan will get an eco-friendly benefit for their homes, too. With the purchase of the 2018 Nissan Leaf, homeowners who “sign up for an electricity retail plan offered by Ecosystem Japan” are eligible for “free installation of solar panels for their homes,” reports Nissan. In addition to the free installation of the solar panels, new Leaf owners will receive the Daytime Assist Plan at a lesser price. “Participants are encouraged to charge their Leafs during the day using electricity from their solar panels, or at night when demand for grid power is low,” according to Nissan who reports the solar panel campaign is a joint effort between EcoSystem Japan and Nissan Motor Co. Ltd. 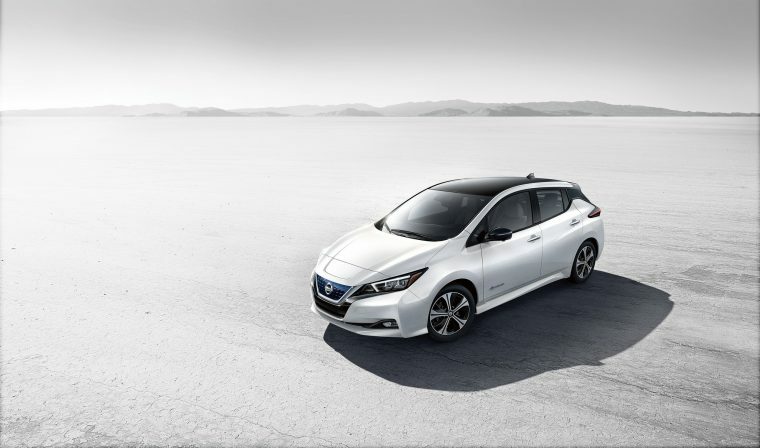 The all-electric 2018 Nissan Leaf boasts a range of 378 km on a single charge as well as advanced driver assist features such as the Nissan ProPILOT autonomous driving system, which helps you maintain a safe position in your lane as well as monitors the space between your car and the car in front of you; and ProPILOT Park, which helps you to park easily and safely. The next-generation Leaf is also outfitted with the e-Pedal, a technology that “allows drivers to start, accelerate, decelerate and stop the car by simply increasing or decreasing the pressure applied to the accelerator, providing more control and taking the stress out of driving. E-pedal can hold the stop even downhill, and is made accessible as standard from entry grade,” according to Nissan.